First, it can be extremely helpful to discuss your plans with a professional at a Kitchen & Baths Classics Showroom. He or she can point you in the right direction in terms of feasibility and budget; no one wants to discover that their dream room is unattainable. When you know what you would like to do, be sure that essential elements are covered. 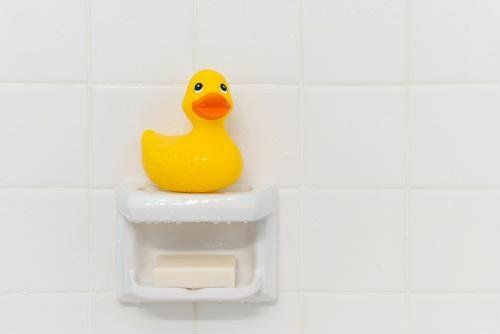 You may want to initially change the shower head to something more soothing or something stronger. Apartment Therapy writers added that you should then make a checklist of items, both functional and aesthetic to enhance your bathroom decor. On that list might be a shower curtain is a necessary evil in many bathroom spaces, so select one that is bold, bright and beautiful to match your look. Additionally, you will have to find a comfortable – and stable – bath mat, plus wall hooks and towel hangers. A good toilet seat is something you should invest in as well. Your first apartment bathroom is full of renovation possibilities. When you are ready to tackle the larger projects such as tiling or replacing the sink, think about the environment you hope to create. According to For Rent, it is a good idea to enhance the feeling of space, particularly if the room is a small one. Rather than installing a sink with cabinets below, look for a pedestal sink, preferably in a muted shade. If you have white tile, select a sink to match, otherwise look for something beige or off-white. You then have the opportunity to play with the background colour, but only if it makes sense: If the walls are darker, the room may feel smaller and more cramped, particularly if it does not have a window. The source noted to keep things airy and roomy, yellow is a good color to choose if white is not your thing. No matter what, your new space will be uniquely yours, so have fun decorating. Let the bathroom be an expression of your personality; reflect it through the colours you choose, the decor you select and any quirky elements that speak to who you are.